Maine Children’s Alliance Maine Kids Count report shows that many of the state’s children are “lost” daily, but saving them is possible. Today marks two years and two days since Ayla Reynolds was reported missing. Anniversaries like this are always a mixed bag — sad comments from everyone from family and friends to strangers who didn’t know the child, but still deeply feel the tragedy. 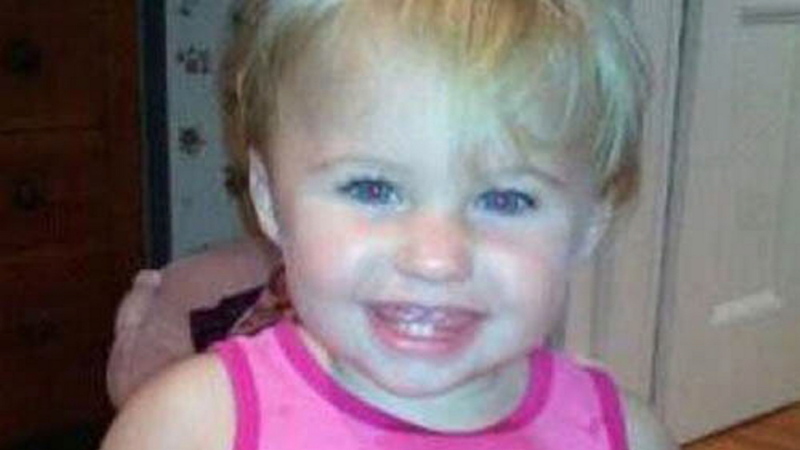 But that sorrow is joined by the anger of Ayla’s family, still looking for answers after the 20-month-old was reported missing from her Waterville home Dec. 17, 2011. Most rational adults would say if they could have done anything to keep from whatever happened to Ayla from happening to her, they would have. As it is, people are left holding candles at countless vigils, or posting theories and accusations on the Internet. There’s not much else anyone can do after the fact. Police have said that the search for clues in the child’s disappearance is the largest the state has ever had. The investigation has cost the state and the city of Waterville hundreds of thousands of dollars. And yet, people are frustrated. The average person is powerless to do anything to close the Ayla case. Ayla, like all children, was lovely and special. And like Ayla, all children deserve a chance to be saved. Last month, the Maine Children’s Alliance released its yearly Maine Kids Count report, which showed the number of children living in poverty in Maine continues to increase. Some 19.3 percent of the state’s children under 18 were living in poverty in 2011. In Kennebec County, the number is a little better than the state average: 18.2 percent. But in Franklin County it’s 24.4 percent and in Somerset County it’s 27 percent. The 52-page study also found that one in four Maine children has had an “adverse experience” including the separation or divorce of parents, a parents’ drug use, socioeconomic hardship and domestic violence. Those experiences have contributed to a spike of children in state custody, in families receiving federal Women, Infants and Children benefits and in children on food stamps. The number of families receiving Temporary Assistance for Needy Families was down, but only because of legislation that capped recipients at 60 months, according to the study. “We used to be able to say that’s unacceptable to have that many kids in poverty, but the truth is, it’s there and we have been accepting it,” Ned McCann, director of the Maine Children’s Alliance, told the Portland Press Herald after the report was released. Claire Berkowitz, director of data for the report and head of research for the alliance, told the Press Herald that there are a lot of reasons the poverty numbers are up, including substance abuse. What we know about Ayla Reynolds’ family situation is that her mom was in rehab and her dad, Justin DiPietro — who was not in a relationship with Trista Reynolds — was living in his mother’s Waterville home so he could have help caring for her. While there’s no evidence she was living in poverty, her story isn’t much difference from that of nearly one in four of the children in this state cited in the report who have the odds stacked against them. Lighting a candle or commenting on the Internet is easy. Saving kids is harder. While most people would say that they would have made a personal sacrifice to save Ayla Reynolds, opportunities to make that sacrifice to save another kid present themselves daily. This time of year, almost non-stop. Dozens, maybe hundreds, of people contributed to the teddy-bear shrine that grew in front of the DiPietro’s Violette Avenue home in the months after Ayla disappeared. Anyone who can buy a teddy bear for a child who will never see it and let it moulder in Maine’s soppy weather for months can certainly buy one for the countless toy drives and charities who provide presents for needy and sick children this week who have said they didn’t make their quotas this year. While the Farmington selectmen last week played Grinch by voting to take the American Red Cross and Safe Voices — a group that advocates to end domestic violence in Franklin, Androscoggin and Oxford counties — off its town meeting warrant, Farmington residents don’t have to play along. The $5,000 voters agreed to give to Safe Voices and $2,000 to the Red Cross last year accounted for less than two cents for every $1,000 of valuation. If every resident of Farmington gave $20 to Safe Voices, imagine the difference that could make in the life of a kid who lives in a home rocked by domestic violence. Any voting resident in this state can make a difference in how we take care of the state’s children. While what happened to Ayla Reynolds is rare, children throughout Maine are “lost” in many ways every single day. They won’t all be saved, but some can be. All it takes is the same compassion that’s directed at Ayla, the same desire to do something. What a great way this Christmas season to honor that child. 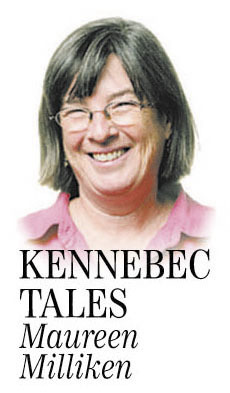 Maureen Milliken is news editor of the Kennebec Journal and Morning Sentinel Email her at [email protected]. Kennebec Tales appears the first and third Thursday of the month.